You just finished a long day of work, sat through rush-hour traffic, and are now eager to see your child and hear how his or her day went at day care. But when you walk into the daycare center, your child runs away from you or throws a tantrum. Not exactly the greeting you were hoping for after all the stress of your day. For some kids, the transition from day care to mom or dad’s car is rough. They don’t want to leave behind their friends or the fun toys at day care. And really, can you blame them? But you both deserve to have a happier pickup. You can start using these tips for a better day care pickup. It’s getting close to dinnertime, but it will still be a while before you’re sitting around the table. Your child had snack time hours ago at day care, and now he or she is just plain hungry. Giving your child a small, healthy snack now likely won’t ruin his or her dinnertime appetite. Instead, it will probably give your child the fuel he or she needs to be happy and attentive until dinner. Your frustrations, that is. Don’t carry your day with you into the day care facilities. Your child will sense your frustrations and tension and will respond in a similar manner. Before you walk in, take a minute to do some deep breathing or visualizations to clear your head and leave negative baggage behind. Walk in with a smile and a clean slate. What will you be doing once you arrive home? Will you be eating your child’s favorite meal for dinner? Will your child get to take a bath and play with bath toys? Will you read a fun bedtime story? Tell your child about what’s going to happen at home to build up excitement and anticipation for the next step. And it doesn’t have to be something new every day. Telling your child that the other parent is already at home, or that a favorite stuffed animal is waiting for a hug, is enough to make going home a positive event. Sometimes, you’ll be in a rush at daycare pick up, and there’s nothing you can do to avoid that. However, if you don’t have to hurry to the next place, then take your time at pick up. This doesn’t mean you should let your child casually finish up what they’re doing for an extra half hour while you just patiently wait. It just means that you should go through your leaving routine calmly, without any frantic rushing or hurrying. This will provide your child with a smooth, calm transition from the day care center to your next destination. Gather your child’s things before you go tell him or her it’s time to leave the day care facilities. This will allow you to make a smooth exit. If you grab your child first and then run around gathering all of his or her things, your child will have more opportunities to realize he or she isn’t happy with what’s happening and resist. Don’t forget that your child has made meaningful connections with the other children and staff at the day care facility. Rather than yanking your child away, allow your child to say goodbye to friends and teachers. 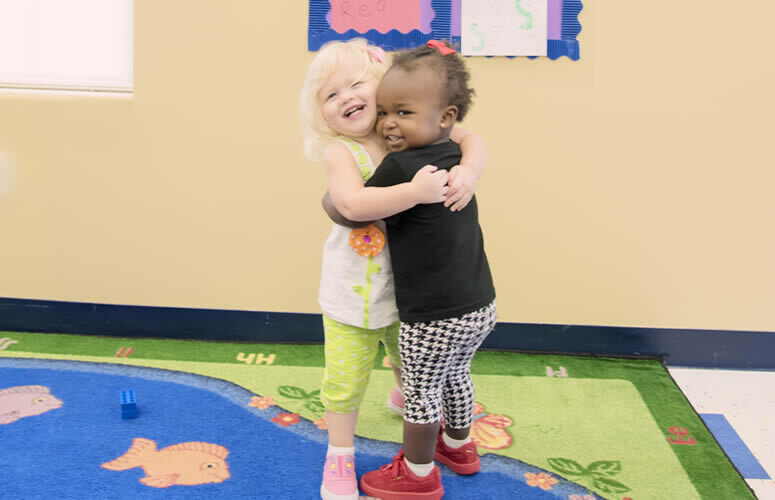 Different day care facilities have different pickup procedures, so make sure you know, understand, and follow your child care provider’s procedure. Following their routines will create a seamless process your child will anticipate. It will also help the staff to help you, as they can work within their procedures to find solutions if your child is struggling. With a little planning and preparation, your day care pickups can be a whole lot happier and easier!